La Crosse, Wis. – At Roger Harring Stadium at Veterans Memorial Field Sports Comlex on the campus of the University of Wisconsin-La Crosse, which also happens to be the site of the 2013 NCAA Division III Track and Field Championships, select members of the Gustavus Adolphus men’s and women’s track and field teams took advantage of the last regular season meet of the 2013 season in an attempt to boost their NCAA qualifying times. On the men’s side, senior Josh Owens (Brooklyn Park, Minn.) turned in a first place finish in the pole vault after going over the bar at 16-feet 1.75-inches. 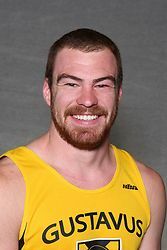 The 2013 MIAC Champion in the pole vault bested his previous season-best mark of 15-feet 5.5-inches set at the Meet of the UnSaintly on May 3 in St. Paul. Owens’s performance on Thursday will most certainly boost his national ranking heading into the NCAA Championships as the senior was ranked 18th heading into the weekend. 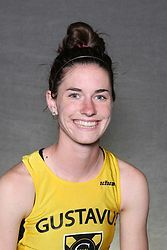 Gustavus’s next top finisher was senior Erica Hett (Burnsville, Minn.). 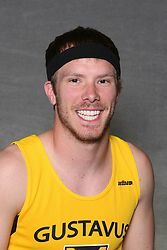 Hett crossed the finish line in 11:30.33 to place second in the 3,000-meter steeplechase. Hett’s top time of the season in the steeplechase was an 11:19.22 posted in a runner-up performance at the MIAC Championships last weekend. Also on the women’s team, Elizabeth Weiers (So., Le Center, Minn.) continued her already stellar outdoor season with a sixth place finish in the hammer throw with a toss of 164-feet 10-inches. Weiers, who placed second in the hammer last weekend with a throw of 153-feet 11-inches at the MIAC Championships, improved her season-best mark by more than two feet in La Crosse. Her previous season-best of 162-feet five-inches recorded at the MSU Twilight Meet on April 30 broke April Felt’s 1999 school record throw of 160-feet two-inches. With her toss on Thursday, she once again bested the school record – this time her own. Heading into yesterday, Weiers was ranked 28th in the country with her performance in Mankato. Rounding out the Gustavus competitors in La Crosse was senior Ryan Ness (Inver Grove Heights, Minn.). 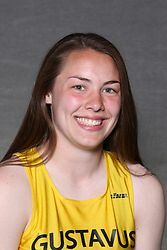 Ness placed sixth in the javelin with a throw of 169-feet six-inches. Ness was the MIAC Champion in the event last weekend with a throw of 182-feet 10-inches. His top mark of the season is 188-feet nine-inches set at Wartburg College on April 5. The Gusties will now await their fate as the NCAA Championship field is selected later this weekend. The 2013 NCAA Outdoor Track and Field Championships will be held May 23-25 in La Crosse.